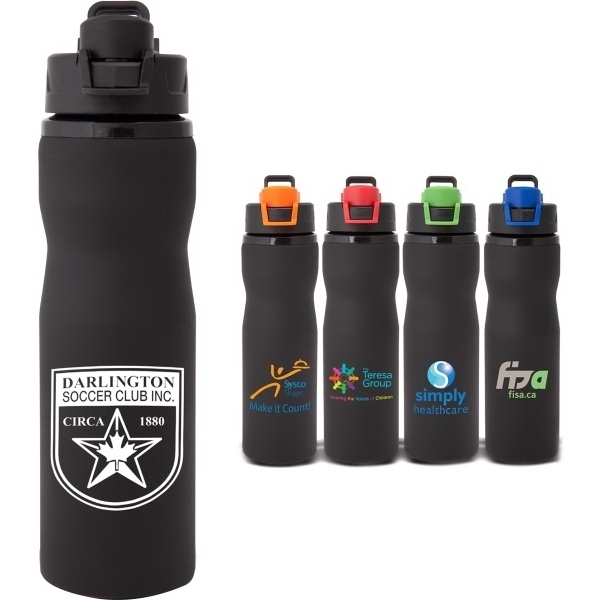 Description The Racer is a 25 oz textured black stainless steel sports water bottle. Secure screw on lid with coloredflip cap. Color accent cap. Sturdy carry handle. BPA free. 3" x 10". Imprint Size 2 1/4" x 2 1/4", 7" x 2 1/4"